To adapt an old maxim, the EU and the UK would do well to “make love, not wall!” Germany should understand this urge all too well, particularly given its own experience of being divided by walls and hard borders for nearly forty years. 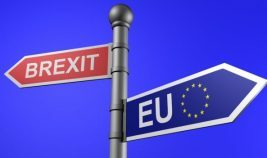 In spite of their history, some Germans like MEP Elmar Brok are asking the British today, in response to the latter’s desire to leave EU, to either build a “wall” (in other words a hard border) between the UK and the Republic of Ireland (which could restart violence in Ulster) or to accept the division of the UK by the backstop, namely by separating Britain from the Northern Ireland through an internal border which will be at the same time the EU external border. Brok considers, given his well-voiced fears of genetically manipulated American chicken heading for German plates from the UK via Dublin, a kind of Berlin Wall to be raised somewhere in or around the island of Ireland. Thus, Mr. Brok and few other MEPs have inadvertently come up with a “great idea” to cope with a disorderly Brexit. 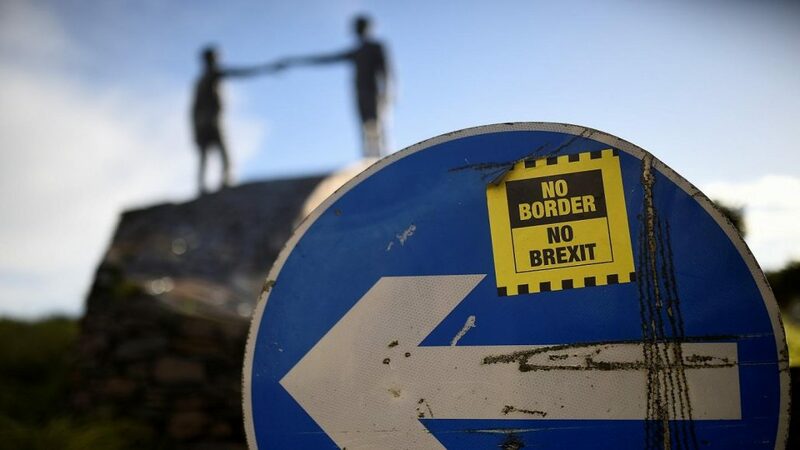 In their view, Ireland could theoretically be kicked out of the European Union’s customs territory if it refuses to put up a hard border with the United Kingdom following Brexit. Obviously the anger of some in Berlin over the UK leaving the Union has reached a peak, now extending the sentiments behind the Great War slogan “May God punish England” to the Republic of Ireland. Fortunately, this threat offers a moment of hope for finding a solution to a possible hard Brexit scenario. Why wouldn’t Ireland adopt the sunny status of the Canary Islands within the EU? A reappearance of a border between the Republic of Ireland and the United Kingdom is causing great concern for all parties involved. The EU could prevent this situation by conferring on Ireland a special status. Brussels could suspend – at Dublin’s request – the customs provisions for Ireland without affecting its EU membership and thus let a Brexit without Irish border clauses at all take place in an orderly way. Brok’s despair over the prospect of chlorine chicken competing with the German sausage could be tempered in a practical way. Let us explain. The geographical facts are, in comparison to political choices, indisputable. The direct connection by ferry from Ireland to the European continent is, given that the Irish goods take the British transit route, about the same as the Canary Islands to Spain; in terms of distance and logistics (the use of ferries, trucks and so on). These facts are undeniable and have consequences. One has to admit that given the similarity of their situations – in terms of geography and their geo-political status in relation to the EU – Ireland could and should be treated the same as the Canaries. Articles 349 and 355 of The Treaty on the Functioning of the European Union (TFEU) mention the remoteness, insularity and economic dependence as grounds for exempting certain EU regions from the observation of the general rules of the internal market. Precisely on those grounds, Dublin could ask for a derogation from its communitarian customs obligations until the UK negotiates a sustainable and beneficial trade agreement with the EU. This would allow for specific measures to be taken, particularly in terms of tax, so as to take account of the particular geographic characteristics and geo-economic constraints of the Republic of Ireland. These would be very similar to those of other regions with a special status within the EU; including Guadeloupe, French Guiana, Martinique, Réunion, Saint-Barthélemy, Saint-Martin, the Azores, Madeira and the Canary Islands. Two thirds of the Irish exporters use the British bridge for transporting their goods to the EU. Burning that bridge would inevitably increase costs and cause delays. On the other hand, the economic, historical and cultural links between Ireland and the UK offer an opportunity for a closer cooperation in terms of customs between the two countries. That would reduce the economic risks of a disorderly Brexit and enhance regional commercial ties. Experts estimate that Ireland’s economic growth might be affected by a Brexit by around 7%. In particular, the Irish food industry – whose products are destined mainly for Anglo-Saxon consumers – would undoubtedly benefit from a customs integration with the UK. At the same time, the US – Ireland’s largest trading partner – would have a great interest in concluding a trade agreement with both the UK and Ireland, thus strengthening the ties of the Trans-Atlantic Anglosphere. Obviously, the latter two would be better placed to make a deal with the US than negotiating an inclusive trade agreement with the protectionist, German-centric European Union. Customs controls on Irish goods to be exported to the EU would be a pragmatic way to prevent a hard inner Irish frontier. Brussels could be reassured by the recourse to origin controls and certificates of the products. Thus, an open border between the UK and Ireland would not lead to an uncontrolled influx of British products to the EU. The EU-Turkey Customs Union has already proved successful by putting in place a technical infrastructure for implementing such controls without creating a real trade barrier. One could also find some other examples of flexible and pragmatic implementation of the EU regulations to solve complex and sensitive political issues. According to the Schengen Agreement, checks must be made when passing the frontier of a Schengen member state to another third country. Although the UK is not a Schengen member, the EU never insisted on the same checks between Ireland and its neighbour as it now requires between its members and other two EU members (but non-Schengen countries), Romania and Bulgaria. So, why is Brussels panicking now and threatening a hard Irish border that it has been neglecting so far and whose status of required checks will remain unchanged, whether the UK is within or outside the EU? Moreover, the Irish border checks are subject to the Schengen Agreement signed by some non-EU member states as well. To be member of the Schengen area does not require EU membership. Unfortunately, Baroness Thatcher – who eventually accepted Germany’s unification – was right: “By its very nature, Germany is a destabilising, rather than a stabilising force in Europe.” Today Germans are telling the British what to do: either to take into consideration the restart of the armed conflict in Northern Ireland, or accept the disintegration of the UK.